HIGHLIGHTS: The main stem of this nearly 100 mile long hiking trail extends from Table Rock State Park in Pickens County, to Oconee State Park in Oconee County. 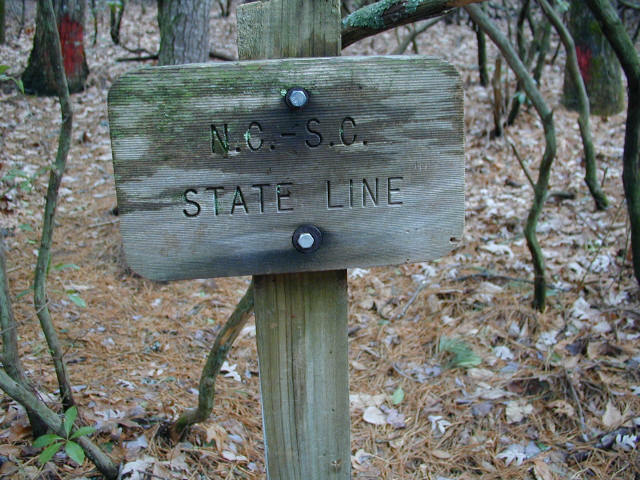 The trail crosses some of the most rugged and beautiful terrain in the Southeast and provides access to Sassafrass Mountain, the highest peak in South Carolina, and to major mountain streams and breathtaking views. The section of trail from Upper Whitewater Falls to Sloan Bridge is a wooded area that ascends Grassy Knob and follows the Chattooga Ridge across the SC/NC line and descends to Sloan Bridge at SC 107.